I recently spoke to Mark Melni of Melni Connectors. 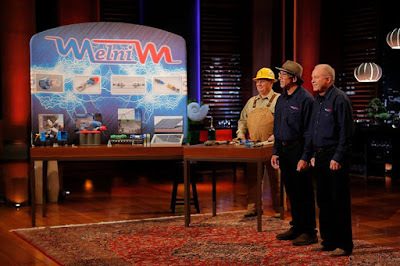 He was on Shark Tank in season six and he did a deal with Mark Cuban for his quick way to make electrical connections. Cuban invested over $1.5 million to date. We spoke about the show and what he's done since. Pretty soon, Melni Connectors will be in a lot of electrician's trucks and in a lot of homes and commercial properties! "I'm a mustard guy, sometimes a few onions too if they aren't too strong. 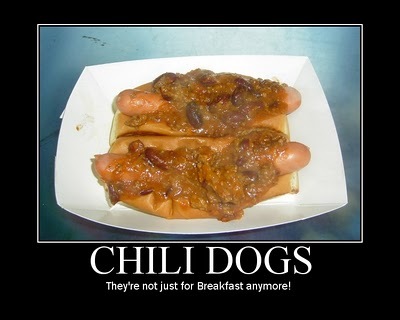 But they have to be Falls Brand hot dogs!" I admire Mark for both his good taste and brand loyalty. 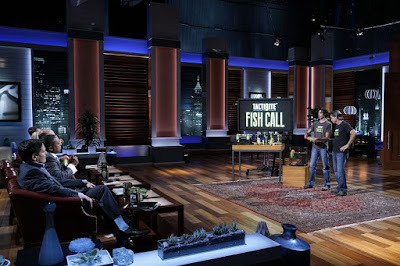 I recently spoke with Jeff and Jack Danos, inventors of the Fish Call, for The Shark Tank Blog. They're appearing on Shark Tank on Friday, September 30. Their invention is a float the emits sound waves that attract fish! 17 year old Jack - Jeff's son - created the first prototype when he was 15 years old. We talked a lot about fishing and how they got started, their successful Kickstarter campaign, plans for the future, and how they became Shark Tank contestants. Jack: "Nope. I don't like ketchup." It looks like home-schooled Jack can school the old man on the proper use of condiments! I recently spoke with Alanna York, the hair stylist turned entrepreneur who pitched Controlled Chaos Curl Creme on Shark Tank back in January. When I first talked to her, the Portland, Maine based business woman was in an uproar. She had ten days until her air date and her website wasn't done! We re-connected a week ago for a Controlled Chaos update, and things were looking up. We talked about how her deal with Lori didn't close, new opportunities Shark Tank opened up for her, her expansion plans for her salon, and the boating she's been doing on the coast of Maine with her boyfriend. "Ketchup, mustard and relish and only on Maine Red Snappers!" While I admire her loyalty to the regional hot dog, I can't condone her condiment choices. Maybe she should try some Controlled Chaos on her next dog! I recently spoke with Matthew Harris (left) from Extreme Vehicle Protection. They make a car/cover that encapsulates vehicles to prevent damage from rising floodwaters or tides due to heavy storms. 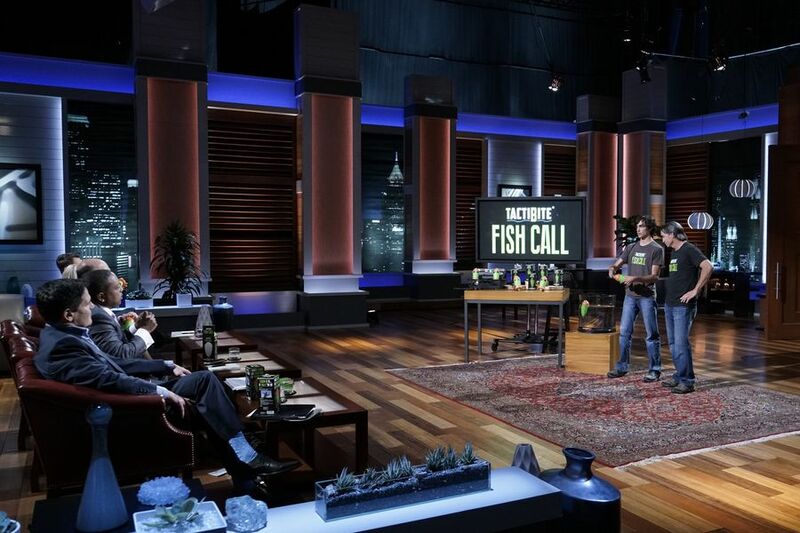 Harris, along with business partner kenney Lerner, appear on Shark Tank this Friday. We talked about how they got on the show, how the product works, the benefits of owning a Hyundai, and what inspires Mr. Harris. When I told him a native New Yorker ought to be ashamed of such an answer, he said, "I guess I am a large child, but I'll take it." Maybe that's why he moved to North Carolina, to escape scrutiny!